Thinking about the future, we should be ever vigilant (esp on 4th of July) about America’s history of being slow to accept the rights of all people because of some “difference”. Race,Ethnicity,Disability, and Sexual Orientation to name a few. How will people who choose to continue their consciousness with technology be recieved e.g. Transbeman’s? 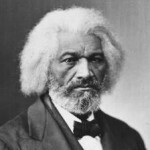 Let’s listen carefully to what Fredrick Douglas said in his 4th of July address and see what relevance it has for today.